Whether you're an individual or a business owner, deciding to file a lawsuit, or getting served with one, can be a nerve-racking experience. And frankly, it can be an expensive. It's important to hire a law firm that's willing to listen to your goals, give you honest, candid advice, and develop a strategy to give you the best chance at achieving a positive result in your case in the most cost effective manner possible. Cost is an important consideration for every client. We understand that. That's why employ fair, clear, and responsible billing practices. In today's legal climate, like so many other industries, there always seems to be someone willing to do a job faster and cheaper. We caution our clients that a lawyer's overall approach to a case, the manner in which they strive for their clients' goals, and the transparency of the billing process can make a huge difference in the total cost of ligation - regardless what the hourly fees may be. We invite you to call and talk to one of our lawyers about your case, and what you can realistically expect in terms of costs; and, we always pledge to bill fairly and spend time and resources wisely. We believe in always keeping the end game in mind. What are your goals, and how do we get there? Sometimes lawyers can become wrapped up in petty battles and fruitless efforts, all which can cost the client money but yield few results. 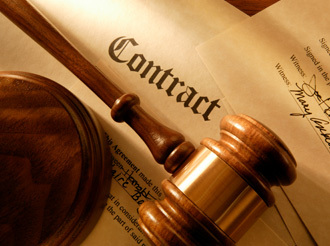 We remain constantly focused on our clients' ultimate objective in litigation. This doesn't mean compromising services, but it allows us to target our efforts to save time and resources, and resolve the dispute as quickly as possible and to our clients' satisfaction.